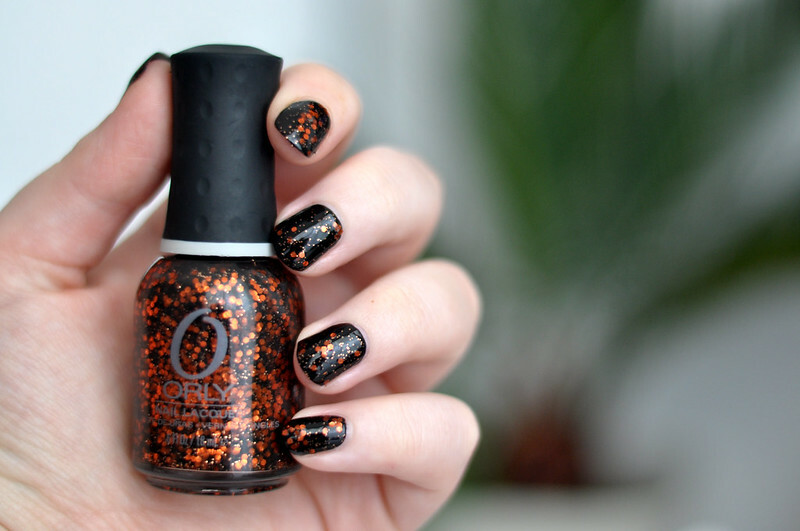 I thought this would be the perfect nail polish for Halloween as it reminds me of tiny pumpkins! Plus it looks like you've made an effort without any real effort. With the layer of black nail polish underneath as well as a base coat, removal is extremely easy unlike usual glitters. The only downside is that the polish separates completely so you do need to give it a good shake an hour or two before you're going to use it. You can shake it up before you're about to apply it but that can lead to bubbles on your nails as it dries. This looks amazing! I wish Orly was easily available in my country. I love your nail posts, btw!